Quick review for a quick read that I picked up from my library's audio collection. Powerful and really wonderful character exploration, which is typical of Ellen Hopkins's books. 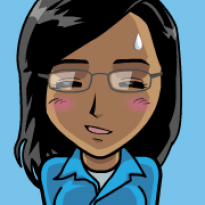 Pattyn is a young woman living in a tightly knit religious community and abusive household. She strongly laments her inability to grow as a young woman - in relationships, in asserting herself among other things - as well as watching her mother being subjected to her father's fists. After a series of incidents in which she acts out, she's sent to live with her aunt and begins to know what it means to have a better life for herself, including being valued in a romantic relationship with her S.O. (Ethan). In the end, she's not prepared to return to the household that cast her out, yet she never really wanted to leave completely behind, and things only turn for the worst after that point. I'll admit it hit me like a punch to a gut and I couldn't shake the emotional upheaval it left within me long after turning the final page. 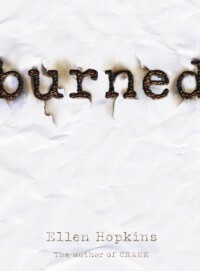 "Burned", like the other books of Hopkins I've read, went down so smoothly and quick for the overarching read - I really enjoyed the audio narration of the novel as well as the poetic form she uses to tell Pattyn's story. She captures Pattyn's thoughts, questions, fears, uncertainty, and emotion to the teeth, and I liked being able to follow her throughout. I thought her fears and concerns were front and center, making me feel her struggle, but I think there were opportunities of depth and debate (particularly around the religious community concerns, since Pattyn lives in a Mormon household) that were missed. I definitely look forward to reading the next novel in this series, though the cliffhanger ending makes me all the more anxious to get to it as soon as possible.